Aircon Servicing Singapore: What Are The Benefits Of Air Conditioning? Singapore is known for its sweltering weather. That is why a cool atmosphere in your workplace as well as the home is compulsory. Nowadays, air conditioners are quite common in all the offices, homes and shopping malls in Singapore. Have you recently relocated to Singapore? Are you planning to buy an air conditioning system for your home? Yes! Then you must know about the various benefits that such a system offers. Excess heat is bad for your body. Due to excessive heat you will sweat profusely, feel tired, and sticky. But, an air conditioner will enable you to stay fresh and active and you can concentrate on your activity without being exhausted. It is imperative to have this machine when temperature in Singapore rises over 100 degrees in the summer. Owing to the pollution around you, the air inside your home would also be polluted and would contain particles, like dust, pollen, dander or dirt. There is no need to tell that the polluted air would affect the lungs and cause serious health problems, like breathing problems, asthma and infections. The air filters in the air conditioning system would make sure that the germs and impurities present in the air are filtered well. Therefore, you and your family will get only the fresh and clean air. This clean air is not only suitable to your health, but also advantageous for your kids as well as pets. Concentrating on work in a hot sultry day in Singapore is a big punishment. It would hinder your performance and productivity in a massive way, especially if you are a home based worker. When you install an air conditioner at home, you will feel fresh, relaxed and energetic and you can concentrate more on your work and achieve results faster. That is why the air conditioning system has become a permanent part of all office buildings. The cool air of the air conditioner eliminates the warmth from your abode. The computer present in the house also becomes cool easily. Thus, the dual effect of its inbuilt cooling system and the air conditioner make it last for a long time. Studies have revealed that there is a connection between depression and the Seasonal Affective Disorder that occurs mainly during hot climate. Extreme heat can lead to boredom, which in turn can lead to depression. In Singapore because of this hot and humid climate throughout the year, this risk is very high. So, it is essential to have an air conditioner at home to eliminate dullness and to keep you fresh and free from depression. Sleep hours are important for an individual to stay fresh and healthy. Without an air conditioner, you will have to wake in the middle of the night with dripping sweat. On the other hand, the air conditioning system will help you have a good night's sleep. As a result, you will feel completely energized the next morning. Great article! I didn’t know that air conditioning systems are advantageous to our health. Moreover, I’ve also seen some interesting facts about air conditioning systems in this site. This is a great post! We recently moved into a newer house. Thankfully we got had the air conditioner repair company out before we moved in. We found a couple of problems that we wouldn't have seen otherwise. The old owners did not clean the unit and it was running half as well as it was supposed to. We were just so glad to get the unit working more efficiently before this heat wave hit! Thanks again for this post. I think so many people think air conditioning is bad for you. I am glad to see some pointers for the benefits. I have to thank you for this good site .I for sure loved every little bit of it. I have you bookmarked your web site to look at the latest stuff you put up. I really have having air-conditioning unit it provide comfortable feeling when working and sleeping. 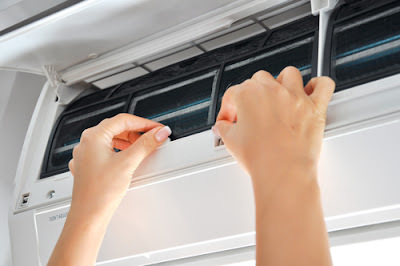 Why Regular Aircon Servicing Is Important?